2018 Glens Falls Region's Best - Vote Here! 2018 Glens Falls Region's Best - Cast Your Vote! Voting for the 2018 Glens Falls Region's Best is now closed. 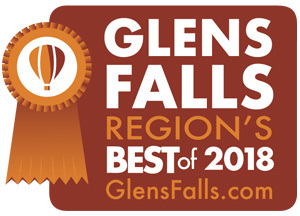 The Glens Falls Region's Best survey is brought to you by GlensFalls.com. NOTE: Each survey allows you to vote once. When compiling the final vote, log files will be used to discard duplicative votes.